Epic™ laser dentistry is one of the most advanced dental treatments today. Epic uses unique technology that combines focused light and thermal energy for a highly precise, exceptionally gentle dental experience. Epic laser dentistry helps to control the bacteria in your mouth to prevent the progression of gum disease and bring your gums back to health. Epic laser dentistry may be recommended as part of your treatment plan during the early stages of gum disease to prevent the progression of this disease. The temporomandibular joint (TMJ) connects the lower jaw to the bones of the skull. A condition known as Temporomandibular Disorder (TMD) can cause pain and stiffness in the TMJ. The Epic dental laser works as a therapeutic device that helps to temporarily increase your blood circulation, as well as to temporarily relax your muscles. The Epic is then able to temporarily relieve joint pain and stiffness. Treatment takes approximately five to ten minutes for each area, so it’s fast and convenient if you have a busy schedule. You can come in for additional treatments as needed by your healthcare provider. No one wants surgery, but when surgery is required, conventional treatments, utilizing a scalpel and stitches, can cause a great degree of discomfort. Epic laser treatments provide you with greater comfort, less bleeding, faster healing, and better clinical results than conventional treatments. Epic laser whitening is a revolutionary tooth whitening procedure. It’s safe, effective, and fast. In just 20 minutes, your teeth will be dramatically whiter. 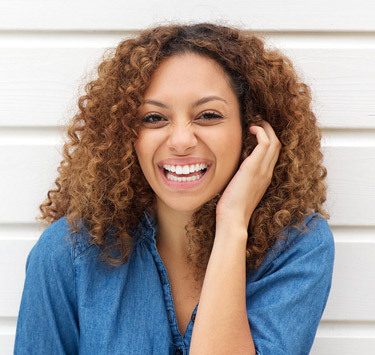 Fast: Yellowed and stained teeth can now be whitened in as little as 20 minutes, right here in our office, enabling you to get back to your daily routine that much faster. Effective: Years of stain build-up can be effectively erased with the Epic laser treatment. You will be able to notice results immediately after the procedure. Easy: We proudly offer Epic laser teeth whitening system. It provides a less-sensitive experience than other whitening systems, making Epic an easy choice for you to brighten your smile. Contact us to hear more about our $100 special!